Fiorella, Sam. “Cyber-Bullying, Social Media, and Parental Responsibility.” The Huffington Post. TheHuffingtonPost.com, 18 Oct. 2013. Web. 19 Oct. 2014. The rise of the internet and ease of access to devices that can access the internet has introduced led to the creation of an infinite amount of platforms where teens can say horrible things to each other. The things that are said are so horrible that they have resulted in teenagers committing suicide. It is the responsibility of the parents to monitor their children’s online activity – to stop their children from becoming bullies. Additionally, there needs to be more severe legal punishments for those who cyberbully. The rise of teenage suicides as a result of cyberbullying is a problem that can and must have fixed. This is my font exercise from today’s class. This fairytale was originally written by Rebecca Rice. I’ve edited the fonts to change the tone and feel of this post. University of Gothenburg. “Cyberbullying: A growing problem.” ScienceDaily. ScienceDaily, 22 February 2010. <www.sciencedaily.com/releases/2010/02/100222104939.htm>. Since the creation of social media platforms, cyberbullying has become a growing problem for adolescents. The ability to create an anonymous identity allows people to harass others or say things about others they probably would never say in real life. The issue is that the internet continues to grow and become accessible to more and more people. In addition, by law, people have a freedom of speech which complicates the issue of penalizing perpetrators. Since there is virtually no federal law that punishes cyberbullies, this article suggests that it is the responsibility of parents to teach their children how to properly act on the internet. Byrne, R. (2013, March 19). Picking the Best Platform for Your Classroom Blog. Retrieved October 6, 2014. <http://www.freetech4teachers.com/2013/03/picking-best-platform-for-your.html#.VDIf1oBdUVo&gt;. Since my topic addresses blogging in a classroom setting, I thought that a piece evaluating the best platform for a class blog might be a good place to start. In this article, the author points out important blogging terminology as well as makes suggestions for particular platforms. He gives his recommendation for those that hope to start a classroom blog. In my paper, I hope to talk about all aspects of blogs in the classroom, even down to platform selection. His article really educates readers on how to choose platforms wisely and effectively. This is a useful and reliable source because it really gives the reader a good indication of what blog platforms are the best and why. The author makes sure the reader has a firm understanding of blogging language and then addresses why each blog would be fitting for your particular classroom. I think that this source will be very helpful for my paper. It provided a greater understanding of all possible blogging platforms and was extremely useful for finding out that Edublogs (educational blogs) have their own separate entity. The article is written for someone that plans on blogging for the first time to someone that’s been doing it for years already. The journey from being a blogger to a blogger with a book deal includes getting out there and making yourself known, responding to comments to create relationships, and being a person who regularly posts. Hello, class my name is Rebecca. I am an English student minoring in Comparative Literature. This summer was extremely busy for me, but I spent my free time reading and training for my first triathlon, The Jersey Girl Triathlon, which I completed on August 3rd. 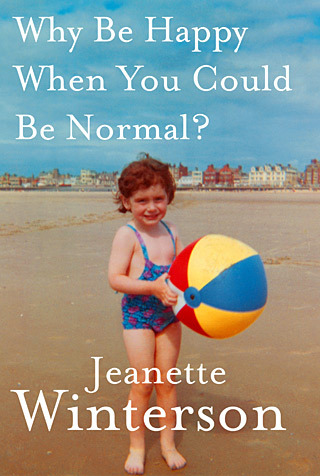 One of the favorite things I read this summer was “Why Be Happy When You Could Be Normal” by Jeanette Winterson. This autobiography was interesting because it was the first book I had read by Winterson, I went on to read another of her books later on in the summer, and I loved her honest style of writing. She told stories about her childhood and teenage years that took bravery and confidence. I felt like she was privately telling me of her difficult past. I wish I had the bravery she has to broadcast my experiences the way she has. I started training for my triathlon in March and continued to train through the summer up until the race day. It consisted of 300 meter swim, 11 mile bike, and a 3.2 mile run. It was a challenging experience. There were many days when I simply wanted to lay around and hang out with my friends but I had to go on a 15 or so mile bike ride. However crossing that finish line made all the training and sacrifice worth it. It was one of the most mentally challenging 1 1/2 hours of my life but I’m already looking forward to doing it again next summer.